Why is a radio station refusing to play this popular Christmas song? Join Sian and Clare to find and to learn lots of great idioms relating to this story. 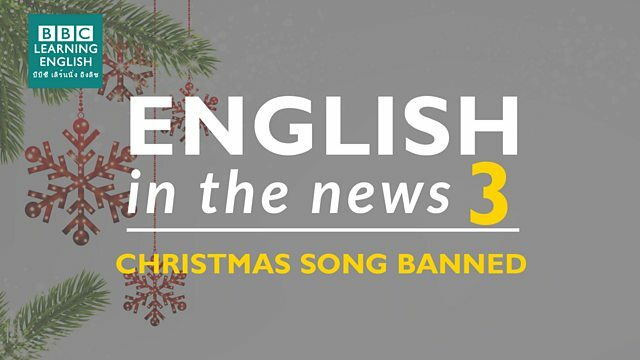 Why has a popular Christmas song been removed from a radio station? Join Sian and Clare to find out and to learn lots of great idioms relating to this story. What expression can we use when people are very angry about a situation? Everyone is ______ about the post office in town closing. They are furious! I think Mai is giving me ______ - she keeps leaving the room when I enter. What do we say when something is in disagreement with something else? The new policies are completely ______ our company values.